With the beginning of a New Year, I wanted to give you a look at new merchandise coming to Disney Parks. It was no easy task selecting these items as there are many great things coming in 2015. Here’s my list of favorites in no particular order. Disney’s Polynesian Village Resort – I can’t wait to add the mini-figurine created especially for Disney’s Polynesian Village Resort to my tiki collection. This statue was inspired by the figure that will be found inside the Great Ceremonial House. The coolest part is that the torches have lights that flicker. Dooney & Bourke – We will continue introducing new handbags from Dooney & Bourke in 2015. I love the black and white bicycle artwork in the top image from Disney Design Group Artist Paola Gutierrez. Orange Bird – If you’re an avid reader of the Disney Parks Blog, you know that I’m obsessed with the Orange Bird. This year, look for a new 7-inch plush; salt and pepper shakers; a towel set and more. 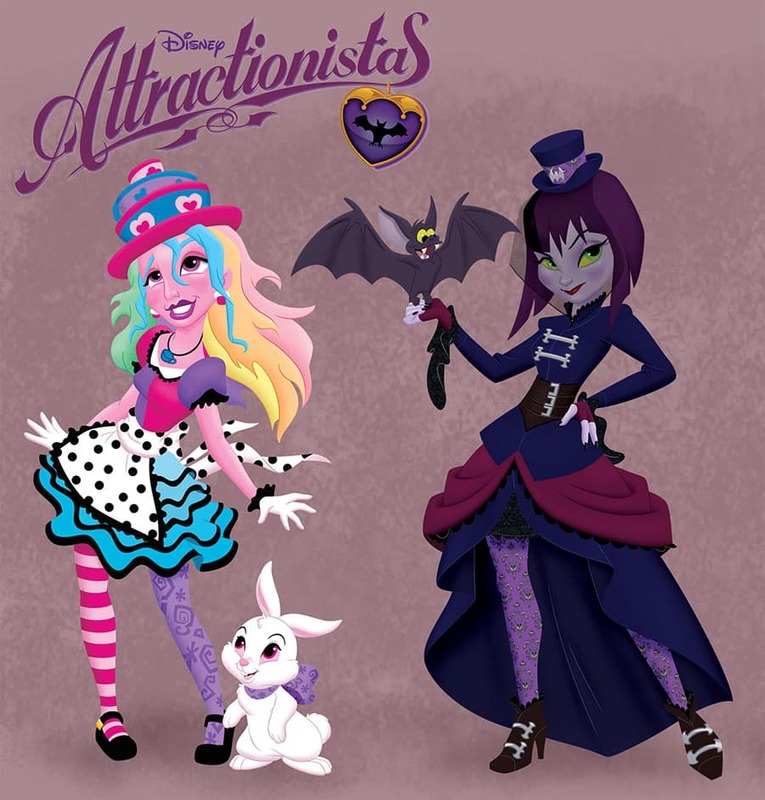 Disney Attractionistas – The concept artwork above was created by Disney Design Group Artist Mike Sullivan and features two dolls from a new line called “Disney Attractionistas.” Coming this summer, the dolls were inspired by attractions found at Disney Parks. 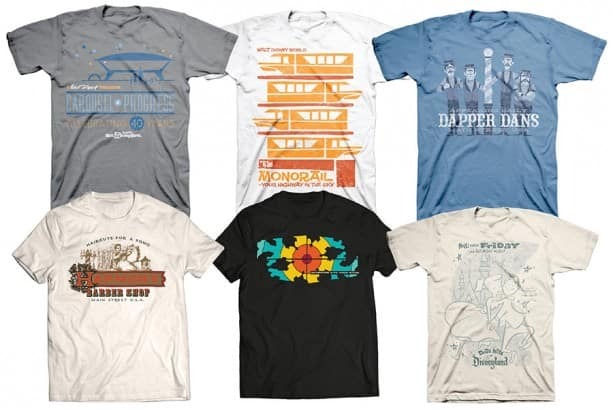 Disney Parks Online Store Shirts – I’m thrilled to give you a preview of new shirts coming to the Disney Parks online store. This year, we are featuring some fan favorites from Disney Parks such as the Harmony Barber Shop on Main Street, U.S.A. or the classic Disneyland park attraction, Adventures Thru Inner Space. Look for the 40th Anniversary of Carousel of Progress tee online from January 15-18 at DisneyStore.com/ParkEvents. Pirates of the Caribbean – Avast! Thar be pirates sailin’ in 2015! Building on the success of the Haunted Mansion Authentic program, we will be introducing new Pirates of the Caribbean attraction products. The artwork above shows a few designs from a master style guide created by Disney Design Group. 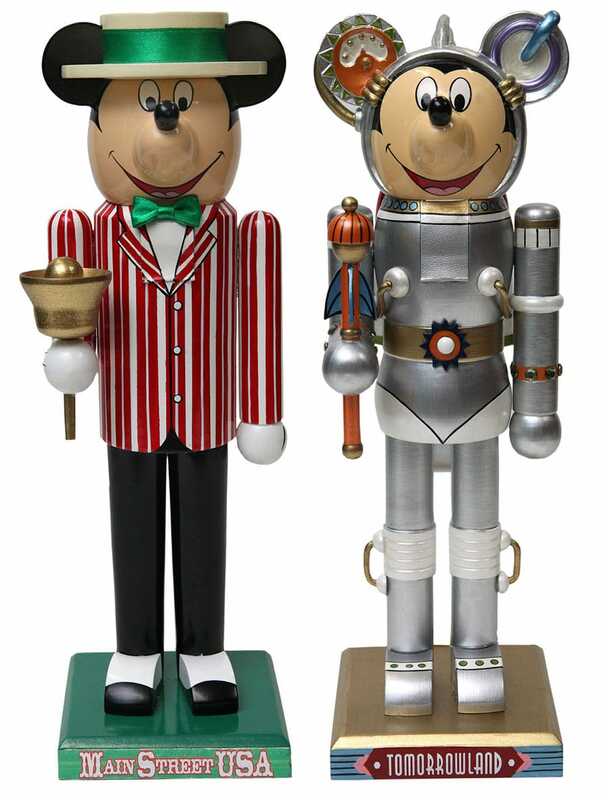 Character Nutcrackers – Later in 2015, we will release nutcrackers inspired by themed lands and attractions at Disney Parks. These limited release items were designed by Disney Design Group Artists such as Alex Maher (Main Street, U.S.A.), Costa Alavezos (Tomorrowland) and Natalie Kennedy (“it’s a small world”). Which items will you add to your Disney collection? Please share in the comments below. Do you have any info on the new Dooney and Bourke handbags coming out? I was at the park yesterday (5/27) and they said they were getting more…? Did we miss the Hoop Dee Doo Revue shirt??? I would LOVE one! I just got back from Disney World and while i was there I looked in every store (even downtown disney) for a 2015 disney golf ball to go with my collection. I get one every visit. Please don’t tell me they decided to not do a 2015 golf ball. Do you know where I can find one? Do you know when they will release the Dapper Dan and Harmony Barber Shop shirts to the Disney Parks online store? Do we know when the Pirates of the Caribbean Authentic Merchandise will be sailing into the parks/online yet?? I love D&B, and cannot wait to see what (if anything) they have for the 60th anniversary. Really looking forward to a lot of this….do you have any estimates for the Polynesian figure? I NEED one of those!! Did something happen to the site that it no longer sends out updates via email when something is posted? You mentioned the monorail shirt will also be available in a print. Is that also true for the Carousel of Progress shirt? 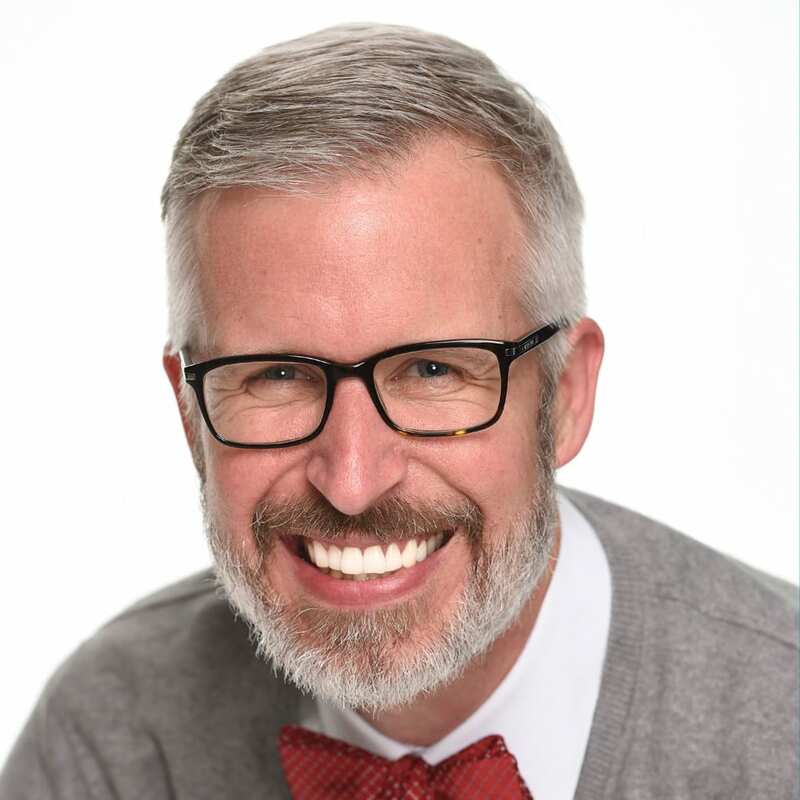 @Jeffrey – From my understanding, we are only offering the monorail image as a print. @Bailey – I believe it is scheduled for a February release. Any idea when the Hoop de Doo Revue shirts will be available? Would love to add that to my collection. @Randi and Kathryn – At this point, the shirt is scheduled for released online only in early April. This shirt won’t be offered at Walt Disney World at this time. Hey Steven – The Carousel of Progress shirt, will that be available in the parks for a longer period than the online store window of Jan 15-18?? I NEED to have it but I won’t be at the parks til March! @Suzanne – The shirt is only offered online during those dates. We won’t be offering it at Walt Disney World. If you place the order online, you will receive the shirt well before your trip in March. will there be a 2015 plane or bus by hotwheels/matchbox for 2015. also will there be a 2015 golf ball. @Katherine – Let me check with the development teams. Those Attractionistas are SUPER COOL!!! Can’t wait!!! I love that they are coming out with more Orange Bird merchandise! Do you know where in the parks it will be available at? I really wish I could get an Orange Bird ear hat. @Kim – The Orange Bird items will most likely be carried in select locations at both Walt Disney World and Disneyland Resorts. I don’t have a confirmed release date at this time. @Jennifer – I unfortunately don’t have a confirmed release date for the new Orange Bird items. I believe the plush will be released in spring. Oh my goodness!! I may have to change the theme of my kitchen to Orange Bird!! I love that little guy! Steven, is there any new merchandise planned for Muppetvision 3D or Bonjour village gifts for 2015? @Michael – I’ve not seen specific development for either of those locations. There may be, however, new Beauty & the Beast-themed items. I have questions about the Atractionistas. Are they going to be dolls like Barbie, or dolls like Monster High? Also, will they be in both parks or only one? If they are only one I sure hope they’ll be available online. Also, judging by the picture one might be the Mad Tea Party ride and the other the Haunted Mansion, will there be big sister versions of the shows of the Disney parks? @Alyxandria – They will be dolls. I will write a more detailed article about them in a few months once I get actual product samples. Please stay tuned. The Orange Bird items and the Attractions shirts. Will we ever see any resort-specific merchandise for the Contemporary Resort? @John – Yes. New logo items are at the hotel now. 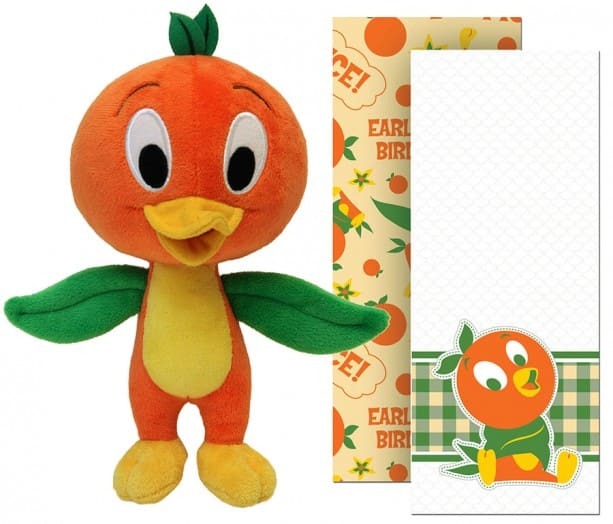 Sooooo excited about the Orange Bird plush and other new Orange Bird items. Any idea when the plush will be released and if it will be sold in the online store? Thanks. @Lauren – I believe he will be coming in the spring. I’ve not heard if he will be carried online at this point. The Disney Attractionistas look amazing! 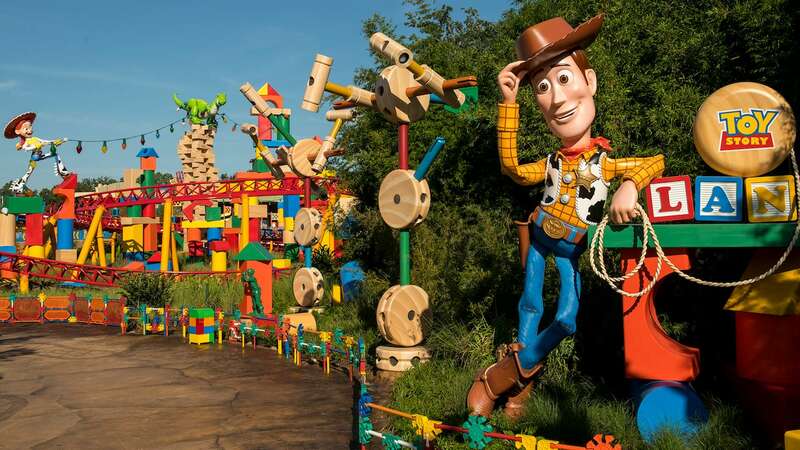 I love the idea of Disney attractions turning into doll form! The bright colours of the Mad Tea Party doll definitely represent the original attraction! The Haunted Mansion inspired doll is certainly spook-tacular! She even has the wallpaper as stalkings! The little animal friends are definitely cute as well! @Jimmy – Glad to hear you are a fan. Look for a future story about them once I get actual product samples. Steven – Do you know exactly when the Orange Bird plush will be available? I have an upcoming trip the end of January and would love to get one! @Ryan – I don’t have an exact release date but I believe he will be released in the spring. Finally the Dapper Dans are getting the love they deserve! I am going to WDW in late February 2015. I really hope that Orange Bird plush will be available by then. He is so darn cute! I like the Tiki figure. 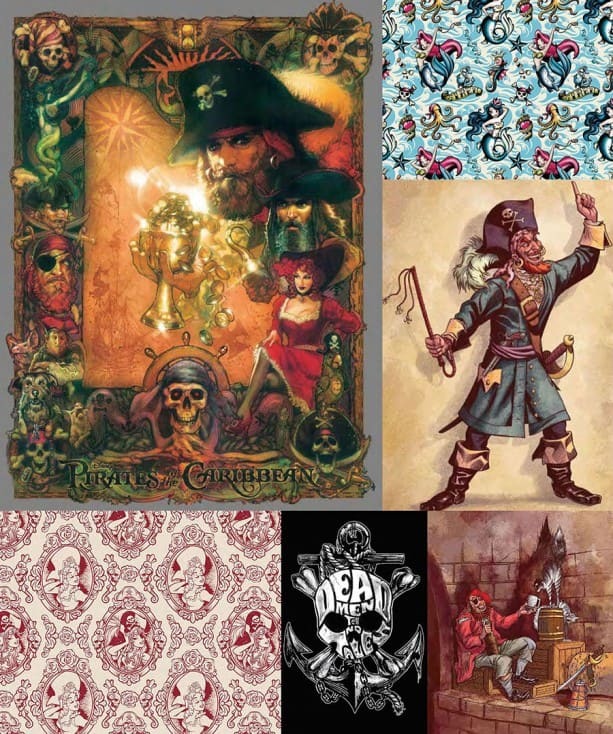 I am looking forward to seeing the items available for the Pirates of the Caribbean (and Tower of Terror as you posted previously). I’m also excited to see what will be available for Disneyland’s 60th. Any word on when the other 3 figures will be available for the Haunted Mansion Stretching Portrait Figure series? @Jonathan – I’ve not seen any development at this point for the other stretch room figures. If that changes, I’ll probably have a story about it. I NEED that monorail shirt!! 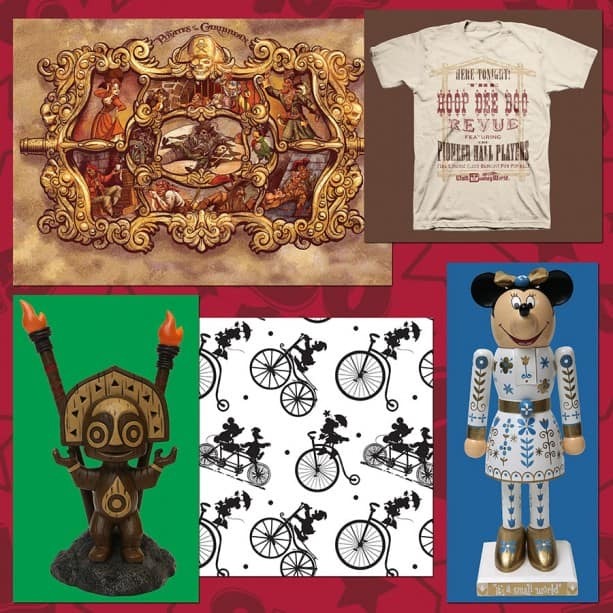 @Sara – Look for it online at http://www.DisneyStore.com/ParkEvents from Monday January 19, 2015 – Sunday January 25, 2015. There will also be a print available!! @Amy and Samantha – That makes three of us!! LOVE that little orange bird!!!!! That and a tiki are on my list. Please oh please oh please let there be a Pirates Dooney!!!! I love the Disney Attractionistas !!!! They will be on my list. Any word on new Pandora charms? @Megan – I think you will love 2015 🙂 Stay tuned. Love the Dapper Dan shirt and nutcracker and must have that Mad T Party Alice doll – so nice to see more Mad T Party merchandise! Come on people it’s clearly the Dapper Dan shirt that is the biggest win of this group 🙂 Can’t Wait! I want that tiki! when will that be available and where? That is so cool. @Debbie – I don’t have a confirmed release date at this point but I’d say in the first half of 2015. The Carousel of Progress and Adventures Through Inner Space shirts look amazing! Apparently I should set aside some money for these. They’re just too tempting. So many new items on there that I want. Looking forward to seeing what the final products are for Pirates of the Caribbean. I hope there is a new Dooney & Bourke coming with that theme. @Lisa – The Pirates of the Caribbean Authentic assortment will be fun. Stay tuned for future stories about specific items.